As excursions have grown in popularity over the years at various railroad museums and tourist lines many have added themed train rides to their schedules running throughout the year as a means of further increasing interest (although few draw the demand of Polar Express trips during the Christmas season). In recent years this has also included the Easter holiday where trips usually revolve around the famous Easter Bunny. For some, these rides kick off their annual season, which usually runs throughout the warmer months each year. Provided here is a list of known organizations that offer such trips, broken down by state. Since Easter falls in either March or April each year temperatures are still relatively cool for many areas of the country. So, if you are interested in taking a train ride during this time you may wish to dress warmly! Different organizations advertise their trains by various names from the "Cottontail Express" to "Peter Cottontail Express." Whatever the name the event is usually similar wherever it is hosted with train rides offering kids a chance to see the Easter Bunny or Peter Cottontail, hunting Easter Eggs, and enjoying various other activities. To learn more regarding where each event is offered in 2018 please read on below as the information is broken down by state. Kentucky, Home Of The "My Old Kentucky Dinner Train"
Heart of Dixie Railroad Museum: Located in Calera, this museum offers a large collections of exhibits to see as well as train rides throughout the year. Their Cottontail Express runs during just a few select dates around the Easter holiday allowing kids to meet "Peter Cottontail," hunt for and color eggs, win prizes, and much more. North Alabama Railroad Museum: This museum is based in Huntsville and is similar to the Heart of Dixie by offering both exhibits and train rides. Their Peter Cottontail Express is the first special event the organization offers each year. They also operate a Spring Fling Special. Verde Canyon Railroad: The Verde Canyon Railroad is a tourist railroad operating over ex-Santa Fe trackage in central Arizona, near the very popular tourist destination of Sedona. And like Sedona the Verde Canyon has become a popular tourist attraction itself since it began operations in the early 1990s. They now host the Easter Bunny Express where kids can meet the Easter Bunny during their ride, enjoy treats handed out, and take part in a jellybean counting contest. Fillmore & Western Railway: Located in Fillmore, California the Fillmore & Western Railroad offers numerous train rides to choose from. During Easter they host the Easter Lunch Train where you can enjoy a trip through the Heritage Valley and blooming foliage while the kids receive a treat from the Easter Bunny. Napa Valley Wine Train: The Napa Valley Wine Train, operates excursions through the beautiful Napa Valley region, and provides guests with more upscale accommodations and dining services. The railroad offers a special menu for Easter tailored towards the entire family. Orange Empire Railway Museum: The OERM is based in Perris and offers visitors several excursion trains to choose from including steam powered trains and trolleys (you can also operate a diesel locomotive), which operate along their 1.5 mile system. One of their special events in the spring is the Bunny Train where, among other activities, kids receive a treat from the Easter Bunny, can pose for photos, and bring their own Easter basket to hunt eggs and other treasures. Roaring Camp Railroads: Owned and operated by the same organization that operates the Skunk Train the Roaring Camp features a number of different trains including a beach train and forest train. One of their specials is the Eggstraordinary Easter Egg Hunt where the kids get to see the Easter Bunny, ride behind a steam locomotive, and scavenge for chocolate eggs! Sacramento RiverTrain: The Sacaramento RiverTrain, based in Woodland, offers upscale dinner train packages offering entertainment with your meal during the three-hour trip. They also provide special trains and events throughout the year including the "Easter Egg Express" from late March through mid-April. Durango & Silverton Narrow Gauge Railroad: One of the premier tourist trains you will found anywhere in the country, the Durango & Silverton operates on the fabled narrow gauge lines of the former Denver & Rio Grande Western. The railroad now plays host to the Easter Beagle Express where the kids can enjoy crafts, storytelling, musical entertainment, games, refreshments and other Easter-themed activities onboard as well take a home a complimentary mug. Railroad Museum Of New England: The Railroad Museum of New England operates the Naugatuck Railroad between Waterville and Thomaston, Connecticut over the former New Haven. They have preserved equipment on the property of nearly all of the region's notable railroads such as the New Haven, Boston & Maine, Maine Central, Rutland, and Bangor & Aroostook. Each spring they host the Easter Bunny Express. Wilmington & Western Railroad: The Wilmington & Western, located in Wilmington, is a popular freight railroad which also offers steam-powered excursions on a 10-mile segment of a former Baltimore & Ohio branch. During the spring they play host to a special Easter Bunny Express for the kids. Blue Ridge Scenic Railway: The railroad is located in the northern mountainous regions of Georgia and operates over 13 miles (a 26-mile round trip) of a former Louisville & Nashville Railroad branch line (originally part of the Marietta & North Georgia Railroad) providing a wide range of rides for the general public. During Easter they host their Easter Eggspress where the kids can enjoy a trip by train and hunting for Easter eggs. St. Marys Railroad: The St. Marys Railroad is long-time, short line freight carrier serving the local region around St. Marys near the coast. However, recently they have branched out into the excursion business. One of their special events is the Peter Cottontail Express where the kids ride along with Peter Cottontail and hunt Easter eggs. Hoosier Valley Railroad Museum: The Hoosier Valley Railroad Museum is based North Judson looks to preserve and keep alive the region's rail history while also operating a 10-mile excursion train. During the spring they host their annual Easter Train where kids enjoy a trip on the rails, meet the Easter Bunny, and hunt for Easter eggs. Whitewater Valley Railroad: The Whitewater Valley Railroad is based Connersville and operates on a former New York Central line consisting of about 19 miles. The railroad also hosts a number of special events throughout the year including the Easter Bunny Express where kids can hunt for Easter eggs. Midland Railway: The all-volunteer Midland Railway, based in the eastern Kansas town of Baldwin City is a fairly popular tourist railroad which operates June through October. However, they do host a special Easter Egg Hunt Express during the spring holiday where kids hunt for over 1,000 eggs, meet the Easter Bunny, win other prizes, and of course enjoy a train ride in the process. Blue Grass Scenic Railroad & Museum: The Blue Grass Scenic Railroad & Museum based in Versailles looks to tell the story of Kentucky's history with railroads and does so with both static displays at its facility as well as offering visitors train rides on a 7-mile journey. In the spring they host the Easter Bunny Train where the kids get to meet the Easter Bunny during their trip. Kentucky Railway Museum: The Kentucky Railway Museum has grown steadily and today features large collection of rolling stock and even features excursion trains which are pulled by the most famous locomotive on the grounds, ex-Louisville & Nashville 4-6-2 "Pacific" #152 (which was originally donated by the L&N back in the 1950s). Today, they offer numerous specials throughout the year including train robberies, dinner trains, murder mysteries, and Easter Eggspress Train Ride each spring. Baltimore & Ohio Railroad Museum: The Baltimore and Ohio Railroad Museum today is one of the most recognized, respected and highly regarded railroad museums keeping alive the member of the fabled B&O. Each spring they host Bunny Breakfast & Train Ride on the museum grounds. Walkersville Southern Railroad: The Walkersville Southern Railroad, based in Walkersville takes visitors along a rail line that travels through the state's beautiful and historic Monocacy Valley region. During the spring they host their Bunny Train where kids receive an Easter gift and enjoy refreshments during their trip. 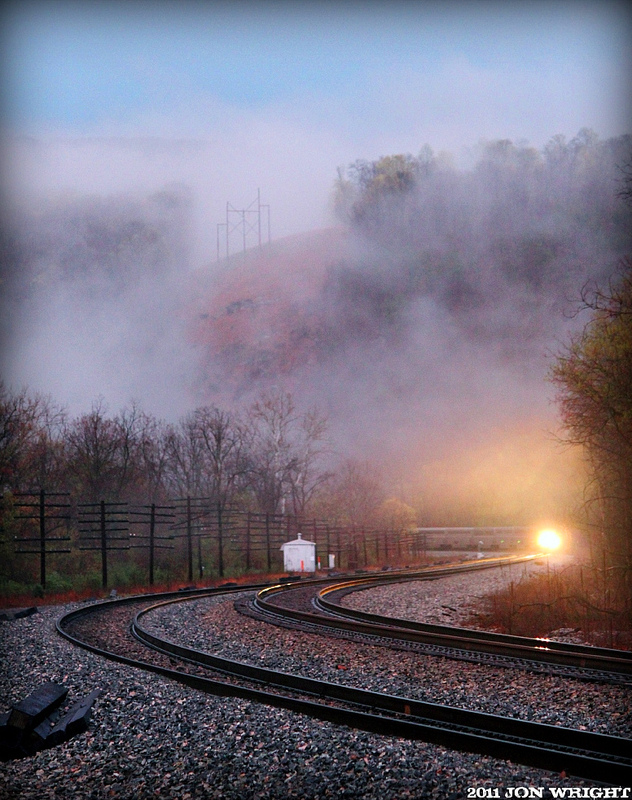 Western Maryland Scenic Railroad: The Western Maryland Scenic Railroad is a tourist railroad based in Cumberland, Maryland that operates part of the Western Maryland Railway’s former main line to Frostburg, Maryland, a distance of about 12 miles. Every spring they host the Easter-themed Bunny Hop!, a 2-hour excursion. Coopersville & Marne Railway: The Coopersville & Marne Railway, based in Coopersville, Michigan offers a wide variety of train rides to choose from including the Bunny Train each spring where the kids enjoy a 20-minute trip, meet the Easter Bunny, enjoy a show, and receive a gift. Little River Railroad: The Little River Railroad is based in Coldwater, Michigan offering rides as far west as Quincy, about 6 miles away, with trains normally being powered by a 4-6-2 "Pacific" steam locomotive. Each spring they offer their Easter Bunny Express (pulled by a diesel locomotive) where the kids enjoy a nearly two-hour train ride to hunt Easter eggs and meet the Easter Bunny along the way. St. Louis, Iron Mountain & Southern Railroad: The St. Louis, Iron Mountain & Southern Railroad based in Jackson offers a ten-mile excursion through the rolling, open countryside of southeastern Missouri. During their opening weekend the organization hosts their Easter Train allowing the kids to meet the Easter Bunny, take the train to hunt for eggs, and enjoy other activities. Delaware River Railroad Excursions: The Delaware River Railroad Excursions are based in Phillipsburg, operated by the New York Susquehanna & Western Technical & Historical Society. Each spring they host Easter Bunny Train to delight the kids with music, meeting the Easter Bunny, and taking part in an egg hunt. Whippany Railway Museum: The Whippany Railway Museum, base in Whippany, New Jersey features a collection of historic equipment and also operates excursion trains on the museum grounds including the Easter Bunny Express each spring. This 10-mile round-trip operates over the freight carrier, Morristown & Erie, where the kids get to meet the Easter Bunny. Adirondack Scenic Railroad: This railroad operates two, unconnected sections of line that once extended from Utica all of the way to Lake Placid to the north, a distance of over 150 miles. Their operations include a short 10-mile section of railroad between Saranac Lake and Lake Placid, and another 50-mile section between the town of Utica and Thendara. Each spring they host the Easter Bunny Express where kids ride from the Holland Patent Station to Remsen Depot, meet the Easter Bunny,and collect Easter eggs. Catskill Mountain Railroad: Based in Mt. Pleasant, New York the Catskill Mountain Railroad operates on trackage originally built by the Ulster & Delaware Railroad, later owned by the New York Central. 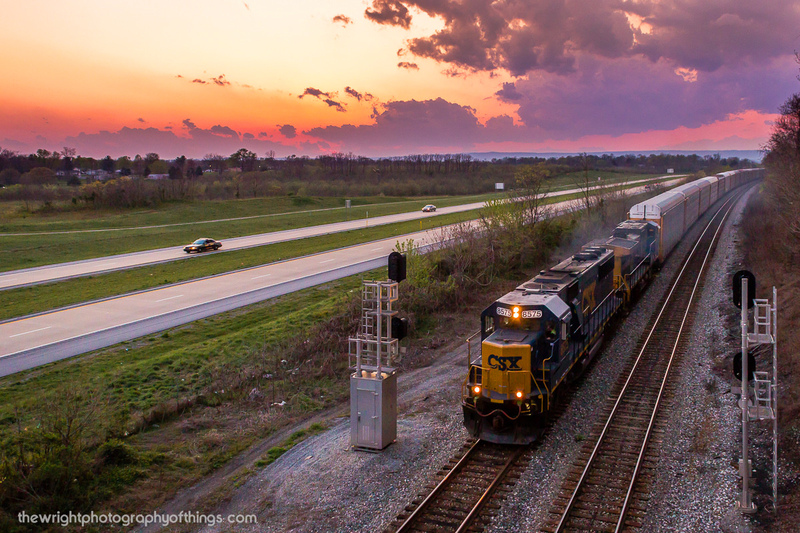 Today the railroad also operates freight service when possible. Each spring they host Easter Bunny Express. Cooperstown & Charlotte Valley Railroad: The Cooperstown & Charlotte Valley Railroad operated by the Leatherstocking Railway Historical Society runs trains through the upper Susquehanna River Valley using a handful of diesel locomotives. Each spring their Easter Bunny Express delights the kids with a two-hour train ride where the little ones meet the Easter Bunny, enjoy refreshments, and hunt for eggs. Great Smoky Mountains Railroad: The Great Smoky Mountains Railroad based in Bryson City has been in operation since 1988 and uses tracks once owned by the venerable Southern Railway, which the company called its Murphy Branch. They do no host an official Easter Bunny train but they do offer the Easter Beagle Express, based on the classic and lovable Peanuts characters. The kids enjoy a 1 1/2-hour train ride, hunt for Easter Eggs, and enjoy many other activities. North Carolina Transportation Museum: The North Carolina Transportation Museum, located in Spencer, NC, is situated on the former Southern Railway’s repair shops. Today the museum sees tens of thousands annually and features an impressive collection of equipment. They also host short excursions on the grounds, including the Easter Bunny Express every spring where the kids enjoy a short train ride, receive a treat, and take part in other activities. Hocking Valley Scenic Railway: The Hocking Valley Scenic Railway is located in Nelsonville, Ohio and operates over a former Chesapeake & Ohio branch to Athens. Every spring they host the Easter Bunny Train and accompanying egg hunt. Lebanon Mason Monroe Railroad: The Lebanon Mason Monroe Railroad based in Lebanon, Ohio operates a 1 1/2-hour trip and the railroad offers numerous seasonal and special trains throughout the year. One such train is the Easter Bunny Express where the kids ride along with the Easter Bunny, take part in an Easter egg hunt, and receive a small gift. Colebrookdale Railroad: A relatively new tourist railroad, the Colebrookdale Railroad, also known as the Secret Valley Line, began service in 2014 and operates 8.6 miles between Boyertown and Pottstown. One of their specials is the Easter Bunny Train where kids receives gifts and ride along with Peter Cottontail. Lehigh Gorge Scenic Railway: The Lehigh Gorge Scenic Railway is based in Jim Thorpe, operating trains on freight-hauling Reading & Northern from the restored former Lehigh Valley railroad station. 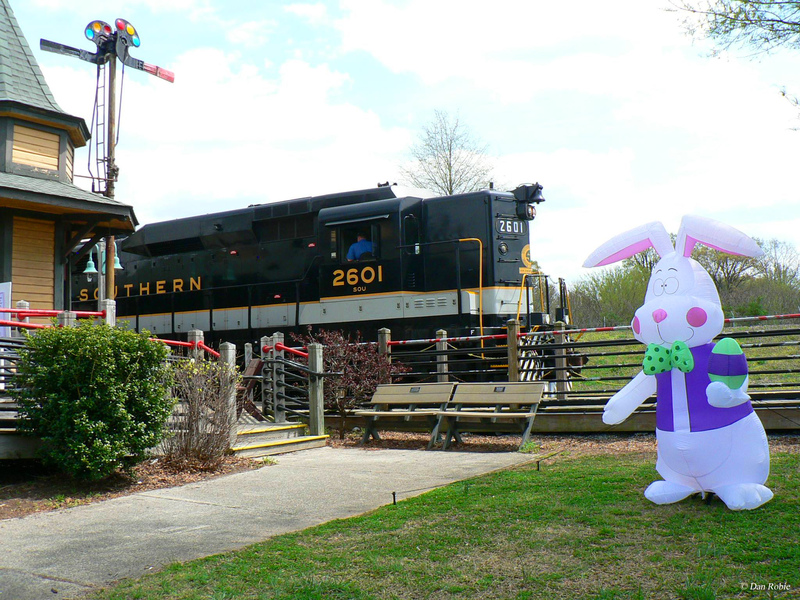 Each spring their Easter Bunny Special departs from Jim Thorpe where kids ride along with the Easter Bunny and receive a small treat. Middletown & Hummelstown Railroad: The Middletown & Hummelstown Railroad is a freight railroad that also offers passenger excursions over 11 miles of its system. In the spring they host the Easter Bunny Express during select dates where kids get to ride along with the Easter Bunny and receive a small treat. New Hope & Ivyland Railroad: The New Hope and Ivyland Railroad is a very popular short line/excursion carrier located in east-central Pennsylvania. During the spring they host the Easter Bunny Express where the kids can meet the Easter Bunny and receive treats. They also now offer a Eastern Brunch Train, lasting roughly 45 minutes (round-trip). Oil Creek & Titusville Railroad: The Oil Creek & Titusville Railroad, based in Titusville, operates on about 14 miles of track normally using a traditional diesel locomotive for power. One of their special excursions is the Peter Cottontail Express during the Easter holiday, the first excursion of the season. Strasburg Railroad: The Strasburg Railroad, located in the heart of Pennsylvania’s Amish community in Lancaster, is the country’s oldest railroad still in operation dating back to 1832. The railroad handles both freight and passengers but is also an operating history book featuring historic steam locomotives with restored, period passenger cars (dating to the 1800s) earning it the distinction as the second most popular excursion railroad in the country. One of their spring specials is the Easter Bunny Train where kids can meet the Easter Bunny and receive a small gift. Wanamaker, Kempton & Southern Railroad: The Wanamaker, Kempton & Southern Railroad is based in Kempton, in eastern Pennsylvania, operating a unique blend of steam and diesel locomotives. Each spring the Easter Bunny Express takes kids on a short train ride and receive treats from the Easter Bunny. West Chester Railroad: The West Chester Railroad is based in southeastern Pennsylvania and likely due to its close proximity to Philadelphia the excursion train is quite popular. The organization hosts their Easter Bunny Express which travels from West Chester to the Glen Mills village. The kids get to meet the Easter Bunny, receive treats, and enjoy live music. South Carolina Railroad Museum: The South Carolina Railroad Museum, based in Columbia, predominantly looks to preserve the state's railroad heritage and has a wide collection of equipment on its grounds while also offering short train excursions. Each spring they host their Easter Bunny Eggspress for the kids. Tennessee Central Railway Museum: The Tennessee Central Railway Museum based in Nashville is focused primarily on preserving the state's railroad history while also hosting excursion trains throughout the year. On April 15th they will host the Easter Bunny excursion , a 90-mile round-trip lasting over 6 hours where the kids can meet the Easter Bunny and take part in Easter egg hunts. Tennessee Valley Railroad: The Tennessee Valley Railroad Museum is mainly a tourist railroad operating on ex-Southern Railway trackage which it originally purchased in 1969. They host the 2-hour Bunny Train on select dates each spring. Grapevine Vintage Railroad: The Grapevine Railroad, based Grapevine, Texas operates between its headquarters and Fort Worth. Each spring they host the Grapevine Easter Train, a 1-hour trip where kids can meet the Easter Bunny. Texas State Railroad: The Texas State Railroad, based in Rusk and Palestine, Texas, is perhaps the state's most popular tourist train. One of their many specials is the Easter Egg Express hosted each spring where the kids can meet the Easter Bunny, hunt Easter eggs, and enjoy other activities. Heber Valley Railroad: The Heber Valley Railroad is Utah's only excursion train, operating a wide variety of excursion and special trains, powered by both diesel and steam locomotives, throughout the year from its home base in Heber City. One of their specials is the Easter Bunny Train hosted each spring where the 40-minute trip lets kids meet the Easter Bunny, have sing-a-longs, and enjoy other activities. Chehalis-Centralia Railroad & Museum: The Chehalis-Centralia Railroad & Museum located in Chehalis, Washington preserves the area's railroad history, which includes excursion train rides. In the spring their Easter Trains, now steam-powered, takes kids on a trip to hunt Easter eggs. Lake Whatcom Railway: The Lake Whatcom Railway, based in Acme, Washington, in the northwestern corner of the state offers train rides during select times of the year, lasting about an hour-and-a-half. One of their specials is an Easter Bunny Train, which operates during the spring. Mount Rainier Scenic Railroad: The Mount Rainier Scenic Railroad is tourist railroad based out of Elbe, Washington featuring a large collection of operating steam locomotives although they are only operated when enough volunteers are available. Each spring they host the Easter Express, usually steam-powered, that takes kids on a short trip to hunt eggs while meeting the Easter Bunny. Durbin & Greenbrier Valley Railroad/West Virginia Central: Quickly becoming the state's most popular excursion train the West Virginia Central operates from the restored depot in Elkins, taking visitors on a number of different train rides southeast of town through the rugged hills of the Mountain State. During the spring they host the Cottontail Express where kids can meet the Easter Bunny, enjoy sing-a-longs, and other activities.